I am a big fan of the work being done by third party Photoshop Plug-in creators and have a sizeable collection of plug-ins. When Filter Forge came to my attention a few weeks back, I dropped a line to the creators of this interesting and powerful tool to request a copy for review. What I experienced with this really cool tool brought a smile to my face. Filter Forge is exactly what it sounds like, a tool for producing and applying filters and procedural textures, and a whole lot more besides. Filter Forge comes in 3 versions, a $99 Basic edition provides unlimited access to the Filter Library but cannot create filters. The $199 Standard edition allows photographers and graphic artists create their own filters, including effects, textures, distortions, patterns, backgrounds, and frames. The $299 Professional edition was designed with the needs of 3D-content and game creators in mind. Providing support and features useful in architectural visualization, 3D Rendering and Design and includes support for bitmaps as large as 65000x65000 pixels, 16- and 32-bit images, and floating point based file formats such as OpenEXR and PFM. I was fortunate to be able to review the Pro edition and was extremely impressed by the performance and the range of filters available via the online filter library. Once accessed and downloaded you can transport your filters with relative ease however you do need an Internet connection which will give you access to well over 2000 filters and textures. The creation of filters is facilitated via a visual node-based editor which is both extremely powerful and quite easy to use once you can get your head around the concept. Filters are created visually by connecting components in a flow diagram to combine effects and functions. Available components include Brightness / Contrast, Channels, Gradients, Noise, Colour Adjustments, Distortions, Patterns, Curves, Curve Operations, Image Processing Controls and much more. For Pro-Level users this is a very powerful and welcome tool. For the Animator, designer and texture creator, the ability to create seamless and resolution independent textures and patterns. Add the capability for creating bump and normal maps and you have a really useful production tool. The filters are also resolution independent and capable of some many effects that you'll find yourself suffering from option paralysis. There is even a Randomizer which shakes things up a bit by allowing you to generate filters on the fly. Core features and technology include support for Dual-core CPU's, HDRI Images, 8, 16 and 32 Bit image modes, Floating point file formats and a really useful smart anti aliasing feature which uses antialiasing only where, and when it is needed. The only drawback for many users will be the cost, but this is somewhat silly when you bear in mind that the Pro filter is aimed at pro level users and that the average imageer doesn't really have a need for the advanced capabilities the editor and pro feature will afford. Cons. Price. Learning curve for the Filter Editor. Pros - Easy to use. Powerful, Scalable. Excellent Support, Large number of filters. As a tool Filter Forge really has no equal, it is more than just a single effect tool, it is a library of effects and treatments that work as both a Photoshop Plug-in and also as a stand alone application. I found it both powerful and easy to use. This is one tool any imageer, artist and photographer should have in their toolbox. Highly recommended. I've been an avid photographer for about 42 years and also have over 32 years experience in design and digital imaging industry. I've spent much of that time travelling. 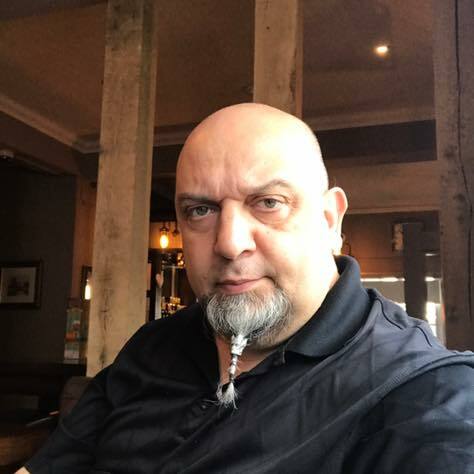 I currently run Georgiou Digital Imaging and Design in London, England and also write reviews of digital imaging and design software, books, hardware and solutions.